Rough stone built cattle byre. 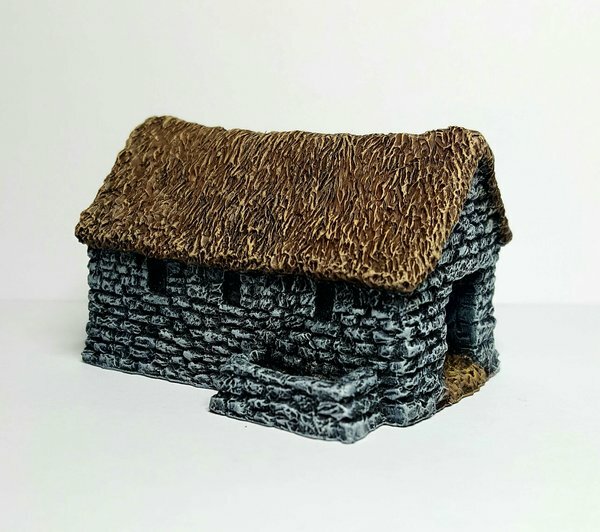 Highly detailed and suitable for various wargaming eras. Also shown here with its matching Thatched Croft.